Who needs to plane? It's all about the glide! 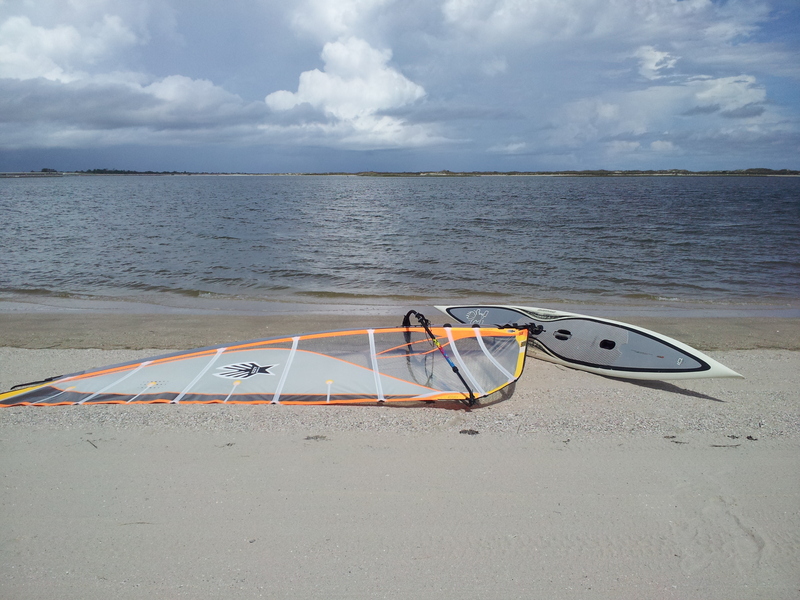 Went out to SP today between 3 and 6pm for some light wind action. Got to try the Serenity out in ankle/shin high swell; not too bad. The nose digs in sometimes but it doesn't feel like it's slowing down the board. 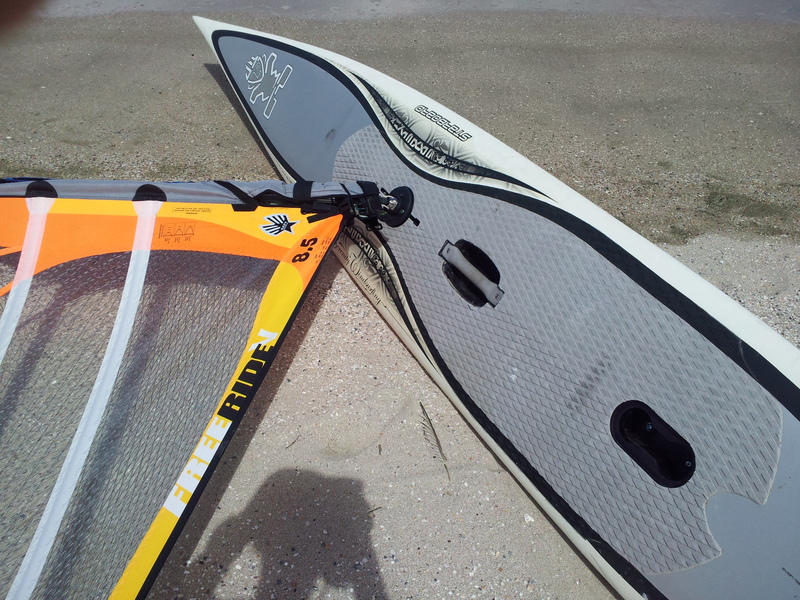 It catches the runners much nicer than the Kona and they actually speed the board up. I'm getting better at tacking/gybing it. Only fell few times out of my own carelessness when the wind died. Wind picked up a little after 5pm, so I got some fast rides. I took some pix of the bottom and fin. 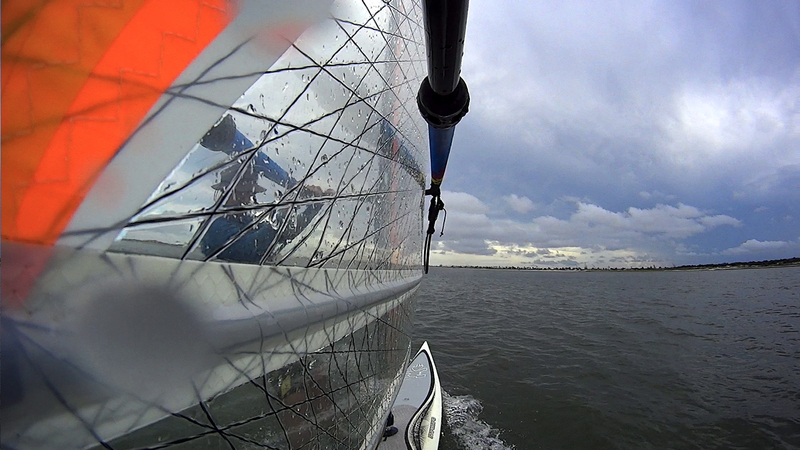 Also got a video using my new SONY action cam; cuts of gliding, waves, tacking and some speed. ;) The video quality's much better than the Contour 1080p. One of these days I'll stop being lazy and make a mast mount for some multi-view angles. Check out the video links if you're interested. It's really not that bad but I haven't had it in any crazy chop yet. Can't wait to find out though. Once going the noise does rise up so shin high waves shouldn't be an issue until it's time to turn around. Not sure how it would handle in waves and no wind, good thing we don't have to worry about that here. The board is 24 inches wide, 15 feet long, 303 liters. It's VERY tippy. It's quite sensitive and leaning the leaward/windward rails send it up/down wind. Definitely takes practice to sail it well. It tacks VERY slow. You get on the other side but the board just doesn't want to turn, it stalls. Jybing it isn't any easier. I can only describe the board as a teeter totter. I was sailing with Bob Graves and some of the Jax crew earlier today on the St. Johns River. 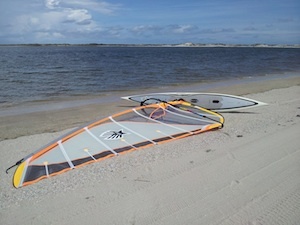 Steven was out there on an Equipe II and an Aerotech 11m. He could pull away from me pretty much any time. Though if the wind dropped 1-4mph the Serenity had the edge. I was on the Ezzy Lion 9.5m. 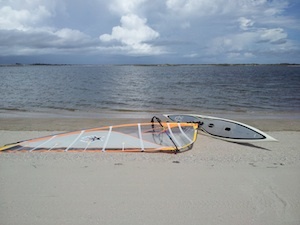 The Serenity is not a replacement for a race board. Looks awesome Alex! 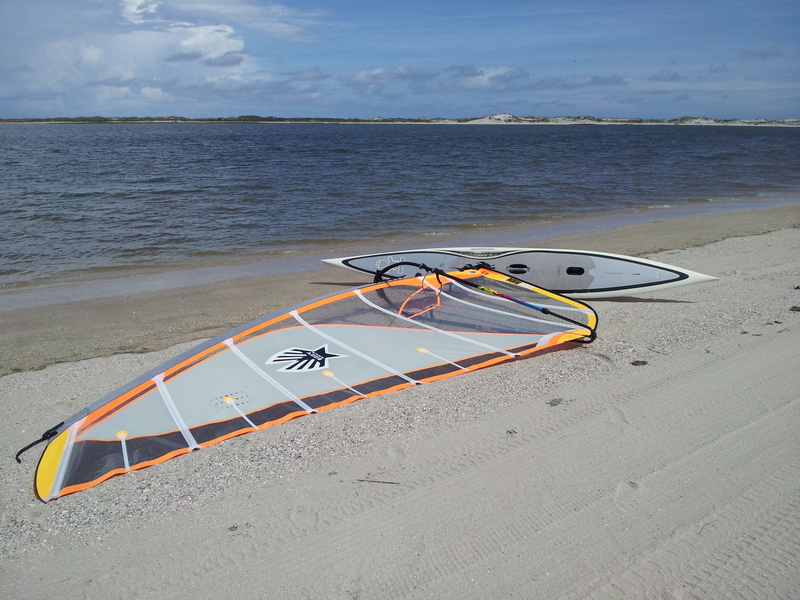 Looking forward to seeing you sailing it at Shell Point. It looks really narrow. What is the width?